We filed a step I grievance on behalf of a member who was suspended after the Office of Diversity Inclusion (ODI) concluded the member had violated Title IX regulations regarding sexual harassment. We believe the penalty was imposed without proper recourse to the due process requirements outlined in Article 18.5 of the contract. A step II decision was recently issued. 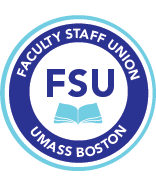 It required the UMB Administration to re-implement a prior Sexual Harassment Policy that had been approved by the FSU (it would replace the new policy that had never been negotiated with the FSU). However, it did not require that the member in question be subject to the step II decision. We have requested that the case go forward to arbitration (NOTE: an additional grievance was filed by a member alleging due process violation during a Title IX investigation; that grievance is in abeyance pending resolution of the first grievance). Article 21.3 stipulates that when additional work arises, the administration must offer the work to current, qualified part-time NTTs in the department in order of seniority. This clause may not have been followed in the College of Management, so a step I grievance hearing was held and the Administration expressed interest into entering into a settlement agreement. We believe we are close to an agreement that would allow for very limited circumstances under which additional work could first be offered outside of the department (only if there is a new full-time NTT who is hired with the expressed purpose of creating new programmatic offerings). In addition, we would clarify that notification of additional work to current part-time NTTs must occur in the form of advanced written notice. This proposed remedy will apply to all part-time NTTs at UMB (NOTE: we filed a separate grievance on this same issue for part-time NTTs in Math; a step I hearing was recently held). Many NTTs had incorrect salaries and titles under the 12-14 contract. The FSU filed a grievance on this a number of years ago (this grievance covers incorrect salaries/titles up to and including the Spring 15 semester). This grievance is still pending. Members with incorrect titles and/or salaries from the 12-14 contract as of Spring 15 will first have their titles/salaries corrected retroactively if/when the grievance is decided. Any new title from the 2014-17 contract that would have applied during the conversion will be retroactively applied as of Fall 2014. The new contract language stipulates that certain temporary NTTs may be hired as Associate Lecturers rather than Lecturers (see Article 21 of the contract for more information). However, the language also stipulates that Associate Lecturers may only be hired at less than half-time. The Administration violated this provision by hiring faculty into Associate Lecturer positions with a workload of half time or greater. A step I hearing for this grievance was held and the Administration expressed an interest into entering a settlement agreement. We believe we are close to a settlement agreement that would allow Associate Lecturers to be hired at 50% or greater provided that the number of semesters a 50% or greater Associate Lecturer would need to serve before being converted to Lecturer would be reduced from 6 to 4. In addition, Associate Lecturers who are converted to Lecturer will have their time as Associate Lecturer count towards eligibility for both continuing employment and Senior Lecturer and Senior Lecturer II promotions. We hope to reach agreement on this soon. An Associate Lecturer who teaches in a CAPS program was seeking but denied additional work. The FSU asserts that the MOU- University College (now called CAPS) should apply to this individual, which requires additional work to be offered to current NTTs regardless of title). We held a step II hearing and are hoping to enter into a settlement agreement shortly. We are engaged with the Administration to ensure that due process is maintained for a part-time NTT who is undergoing a dismissal hearing (see Article 21.12). A Lecturer with just cause but without a continuing appointment was reduced in time due to the assignment of courses to a graduate student. A grievance was filed (see Article 16.2) but was put in abeyance pending resolution of the NTT conversion issues.